May we have your input? 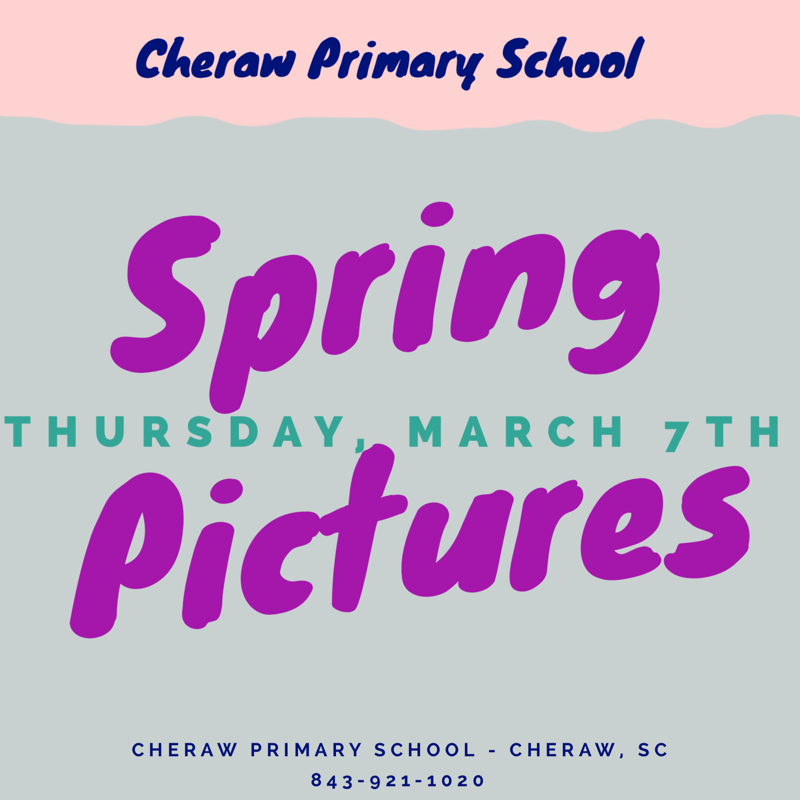 Do you have a child that attends Cheraw Primary School? If so, we would love to have your input through the use of a short survey to help improve our family engagement practices. 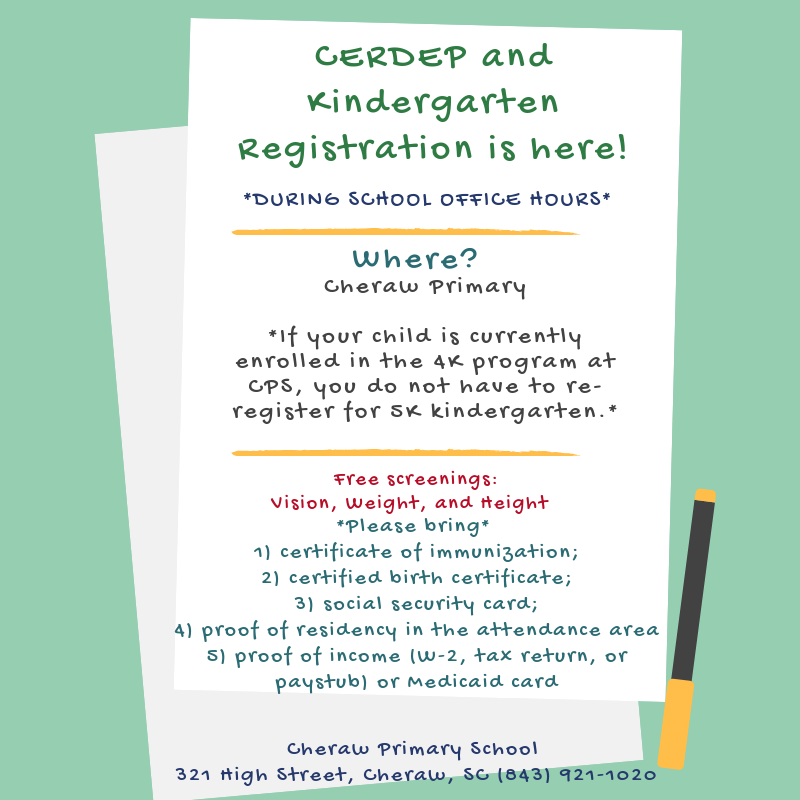 "Because parents are such an important part of helping students learn, we would like to know how welcome you feel in our building and how well we include you in your student's learning." If you have already filled out the paper form that came home in your child's backpack last week, thank you. You do not need to complete the survey again. Thank you in advance. 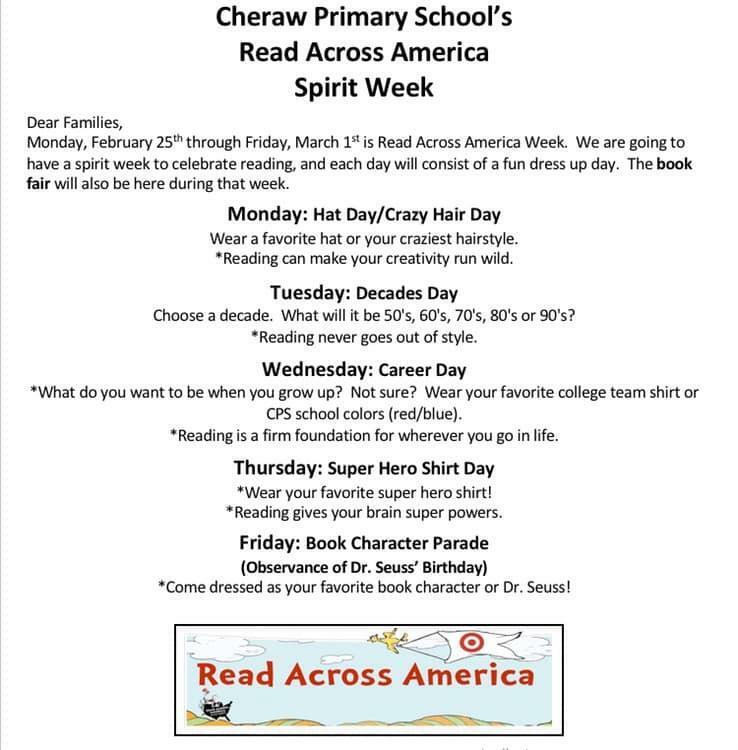 Read Across America Spirit Week is Next Week! 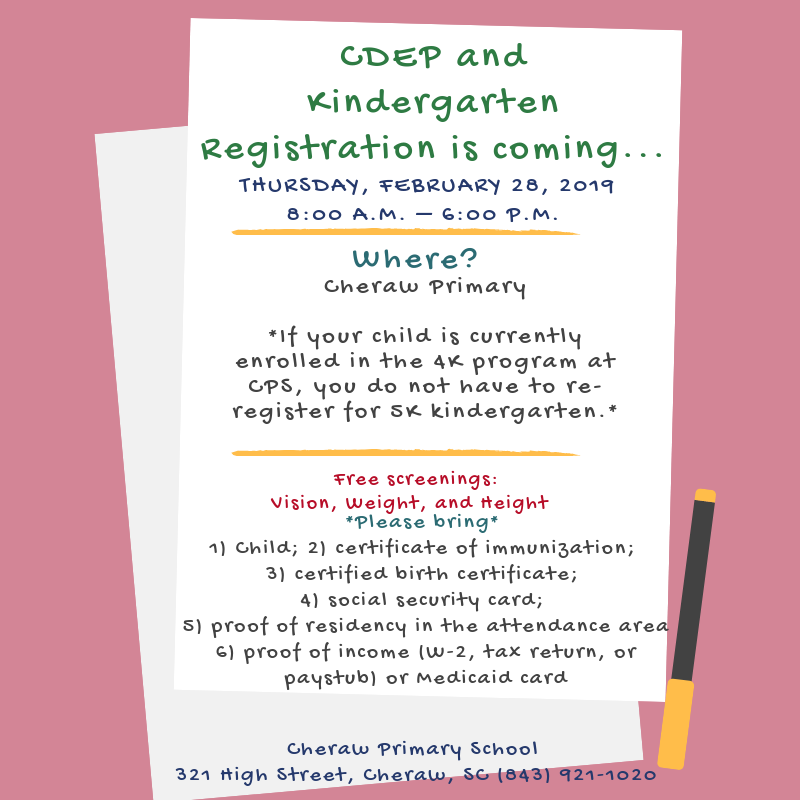 4 and 5 year old kindergarten registration will be help on Thursday, February 28th from 8:00 a.m. until 6:00 p.m. Your child must be 4 on or before September 1st for 4K or 5 on or before September 1st for 5 K.